A Kirksville, Mo.-based shop owner suing the at-fault driver on behalf of his customer won the entire $13,409.66 he’d estimated the repair to cost — $7,071.30 more than GEICO claimed was necessary. 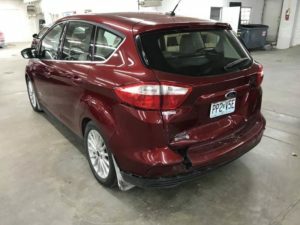 Adair County Associate Circuit Court Judge Kristie Swaim agreed with Collision Company owner Brad Buck on Tuesday that the damage to the 2016 Ford C-MAX would cost $13,409.66 to fix. The case ought to create a greater understanding among Missouri insurers, repairers and customers of the amount of work necessary to properly restore what can seem like minor damage. After crediting the at-fault driver for the $6,338.36 GEICO had already paid on their behalf, Swaim ruled that Buck’s customer deserved the disputed $7,071.30 GEICO had refused to pay. (Initially, both the at-fault driver and the owner of that 2006 Chevrolet Cobalt were sued; the vehicle owner was later dropped.) Swaim also ordered court costs. However, she did not award some of the shop’s other charges, including $2,625 in storage for 21 days. The shop’s final bill had been $16,753.85, which after the $6,338.36 credit saw Buck suing for an award of $10,415.49. Buck said Friday said he was a little disappointed by the failure to win storage, but described the outcome overall as a “big picture” victory. He said he thought his shop could successfully argue for the storage should GEICO appeal and the case return to court. Buck called it “kind of a learning experience” on what needed to be said in court. The topic of the storage charges didn’t arise during the proceedings, as far as he knew. In hindsight, Buck said, the company’s thorough events log detailing the reason for the storage charges could have been presented as evidence. “We then stored the vehicle for several weeks while we attempted to resolve the short pay, eventually, GEICO stopped payment on the customers rental and we decided to complete the repairs and seek remedies in a court of law,” Buck wrote in an email in June. About 10 cars in his management software Friday were stalled because of “insurance delay,” he said. Buck appeared in Adair County Circuit Court in June. He said an attorney for GEICO — who had to represent the defendants under the policy and would ultimately be responsible for any judgment in favor of the plaintiff/shop — questioned him about his labor rate, practice of disassembling vehicles and why refinish work would be needed on the quarter panel opposite the damaged one. However, she never actually challenged many of the other line items the insurer refused to pay or had modified, Buck said. (See his breakdown of what GEICO disputed.) He said he came to court armed with the relevant repair procedures supporting those elements of his estimate but ultimately didn’t have to use them during his hours on the stand. “Never once did that come up,” he said in a June interview. The thousands of dollars in repair procedures Buck billed and Swaim approved appear to include the teardown both GEICO and an location manager for Columbia, Mo., Schaefer Autobody Centers had testified in court was unnecessary and an anomaly. Buck said he pointed out in court that many shops perform 100 percent disassembly. While it might be a new concept in rural Missouri, many repairers in the industry advocate that practice, such as Collision Advice CEO Mike Anderson, he said. Sarpong in court mentioned other sources but not the actual OEM repair procedures when asked if there’s a manual for fixing a 2016 Ford C-MAX. “I’m just going off of industry standards,” Sarpong said. He said he asked multiple shops if GEICO was missing anything on its estimate given the difference between Buck’s and his estimate, and the answer was no. Buck’s attorney Mark Williams asked if there was a formal book of industry standards for fixing a 2016 C-MAX. “Everything that we do is I-CAR,” Sarpong said. “… I-CAR is the industry.” Sarpong said earlier all GEICO adjusters go through I-CAR, and he personally was I-CAR Platinum. Sarpong said that “what is customary” also was a guide. I-CAR has for years declared automaker repair procedures the way to fix vehicles, calling them “service specifications” in 2017. 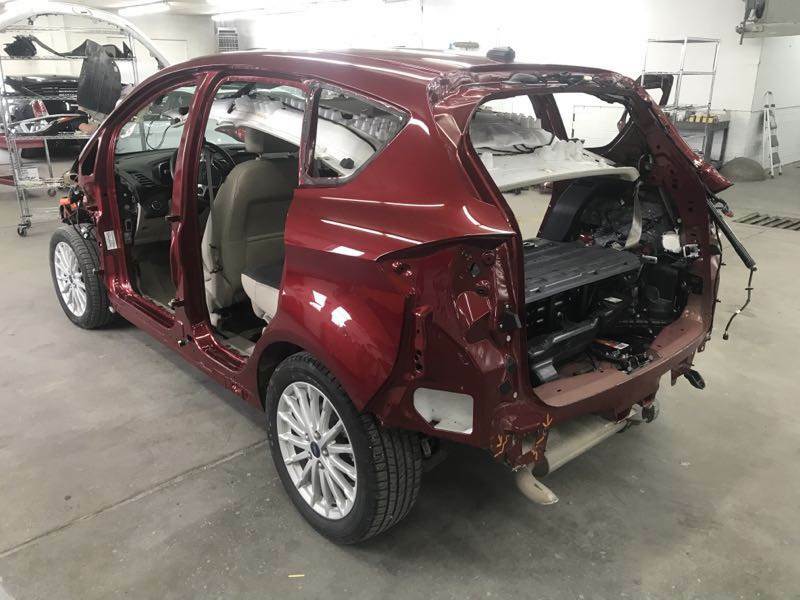 I-CAR’s uniform repair procedures — which it says are trumped by OEM repair procedures — also reference following paint manufacturer guidelines, another element of contention in the case. Buck observed Friday that three other GEICO cases in his shop right now are encountering similar denials, describing it as “on repeat” despite the existence of Cochran v. Sullivan. “It’s just bizarre,” he said. In the past, he said, a short-pay of 10 percent could be tolerated and followed up with litigation (he described past lawsuits where the carrier settled), but insurers are now short-paying 40-50 percent — the industry seemed to have progressively gotten worse. He advised other repairers to be careful before filing a lawsuit, noting that a lot of both good and bad information could be found on Facebook. Botching the litigation attempt could set case law and hurt other repairers, he said. Buck also observed that the litigation seemed to make insurers behave worse, with carriers suddenly balking at charges they had been paying.